Known as 'La Ville Rose' (the Pink City) thanks to the dusky-pink bricks used in many of its buildings, it's the country's fourth-biggest metropolis and has one of the largest universities outside Paris. But this vibrant southern city has so much going for it: a crackling cultural scene, a beautiful old quarter packed with hôtels particuliers (private mansions) and a glorious location at the confluence of the Canal du Midi and the River Garonne. 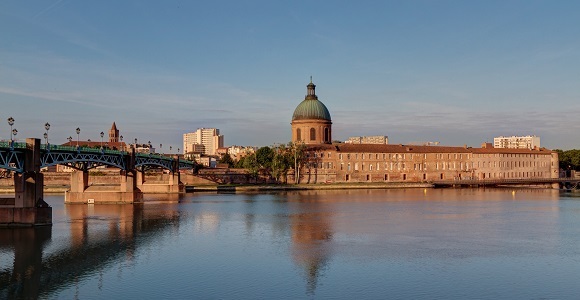 Throw in some of the Southwest’s finest food markets and restaurants, and it becomes hard to think of any trip to France that shouldn't include a few days in Toulouse. Depart with your licensed tour guide and first discover Saint Sernin Basilica, one of the most glorious churches on the medieval pilgrimage road to Santiago de Compostela, a masterpiece of Romanesque art. This exquisite church, built in the 11th to 13th centuries, is a UNESCO World Heritage Site. After the visit of the Basilica, head towards a beautiful example of Southern Gothic architecture the Jacobins Convent. 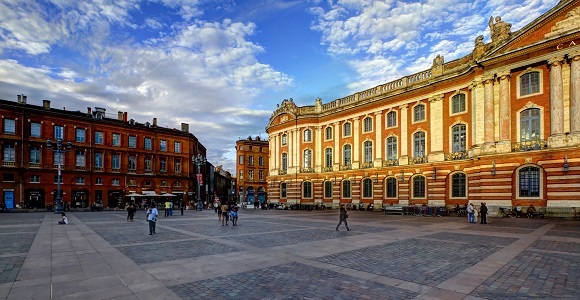 End the tour with the visit of the 'Capitole' the city's Town Hall located on the main square of Toulouse. Some of the interior of the Capitole can be traced back to the 16th century. Today the Capitole houses also an opera company and a symphony orchestra.